Indianapolis, Indiana – Attorneys for Plaintiff, Ashlin Hadden of Noblesville, Indiana filed suit in the Southern District of Indiana alleging that Defendant, Voldico, LLC. of Osgood, Indiana infringed copyright rights of Ashlin Hadden. Plaintiff is seeking injunctive relief, actual damages, and judgment including statutory damages and attorneys’ fees. 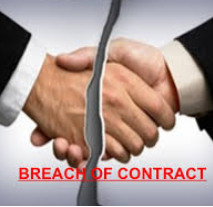 According to the complaint, the parties entered into a contractual agreement where Plaintiff would act as an insurance agent for the Defendant, who is an insurance broker. In addition to breach of contract claim for failure to pay commissions, and other common law claims, Plaintiff is also asserting a copyright infringement claim. Plaintiff alleges that in May 2017, she created an advertising website for potential customers to purchase insurance through her. Plaintiff alleges that in June 2017, the Defendant created a nearly identical website, using the same exact language as Plaintiff’s, to obtain insurance customers for themselves. Plaintiff alleges that Defendant plagiarized the advertising language of Plaintiff’s website. The case was assigned to District Judge Richard L. Young and Magistrate Judge Debra McVicker Lynch in the Southern District and assigned Case 1:18-cv-00099-TWP-TAB.